Instead of deleting this post, I'm only going to update it - because, THANKFULLY, the barn in the photo is NOT endangered - the North Platte Telegraph used the wrong photo to emphasize what barn was being torn down at WCREC. While still 100 years old, the barn that was torn down was a much less impressive single-story barn that sat just south of the barn in the photos below. However, the reason I'm going to leave this post up, even though the story is erroneous, is because it COULD HAVE BEEN TRUE! 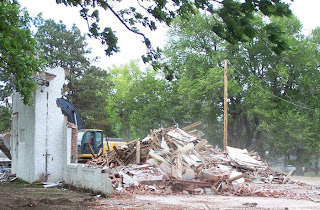 Directly below this paragraph is a photo taken Friday afternoon of the barn that was actually demolished. That is ONE DAY after the story broke about the planned demolition. ONE DAY! If this had been an actual emergency, all of our outrage would have already been too late! So the reason I'm leaving this story up is as a warning. 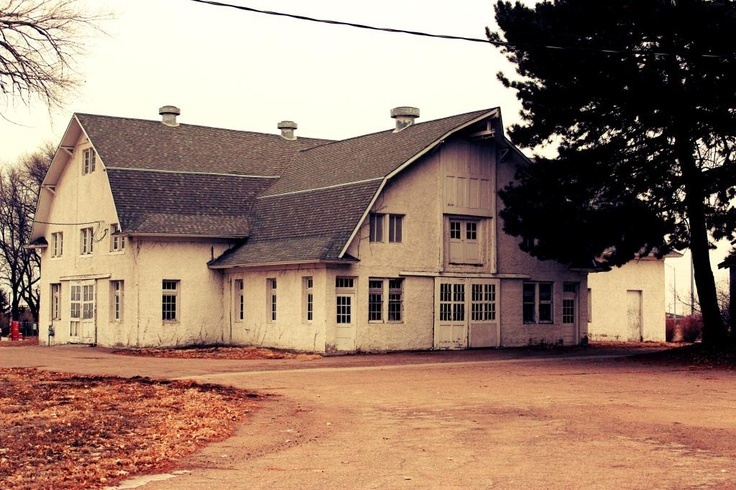 Are there buildings in your area that you think may be endangered? Then the time is NOW to begin asking the owners, city officials, permitting officers, etc. to find out what the plans are for them - don't wait until it's too late! I have been ranting recently about the propensity of folks in western Nebraska to just tear down our built heritage and start over with substandard, ugly, cheap, throw-away new construction. (here, here, here, and here) This morning I learned of one of the cruelest blows of all. 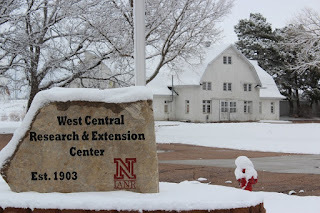 The University of Nebraska West Central Research and Extension Center has announced plans to demolish an historic 100-year-old barn, to be replaced by what I'll just bet you is an ugly, cheap, substandard, throw-away prefab steel building. 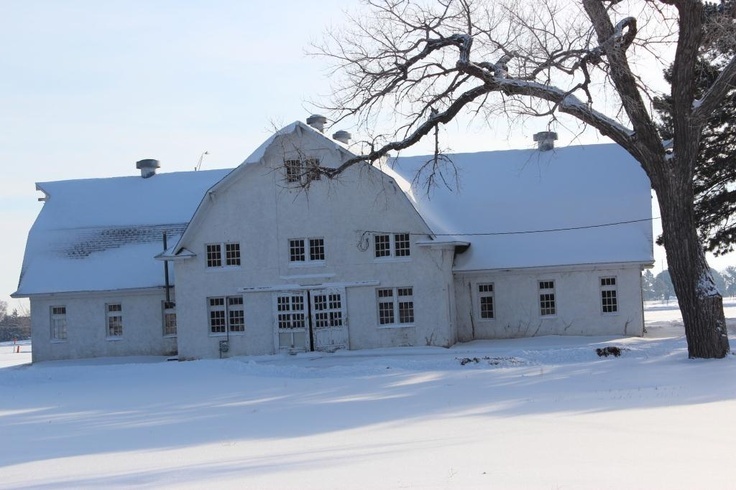 The beautiful old dairy barn on the grounds of WCREC is a T-shaped structure that has stood tall since 1914. Does anyone really think that what they're replacing it with will last that long? Or even half that long? According to officials at WCREC: "It's unsafe at this point," Skates said. "It was built out of red clay tile that fractured in numerous places. Without spending large amounts of funds, it would be hard to correct the structural problems." Really? A building that has stood for 100 years and there's no way to stabilize the red clay tile and repair the building? I say go ahead and spend the large amounts of funds and save it! Reuse it! Repurpose it! Anything but demolish it. There is a Facebook page where like-minded folks can gather together to brainstorm about ways to change their mind. Please join us there and give us your thoughts.